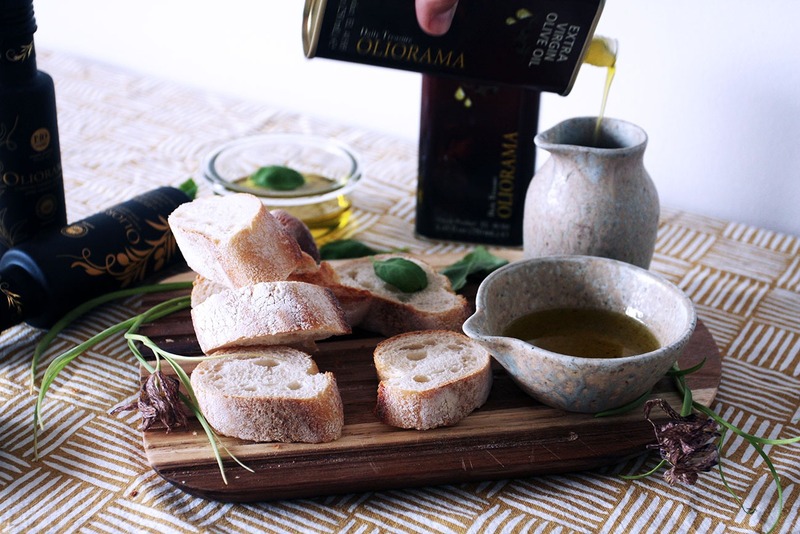 In this post, I’m going to guide you on how to taste olive oil. 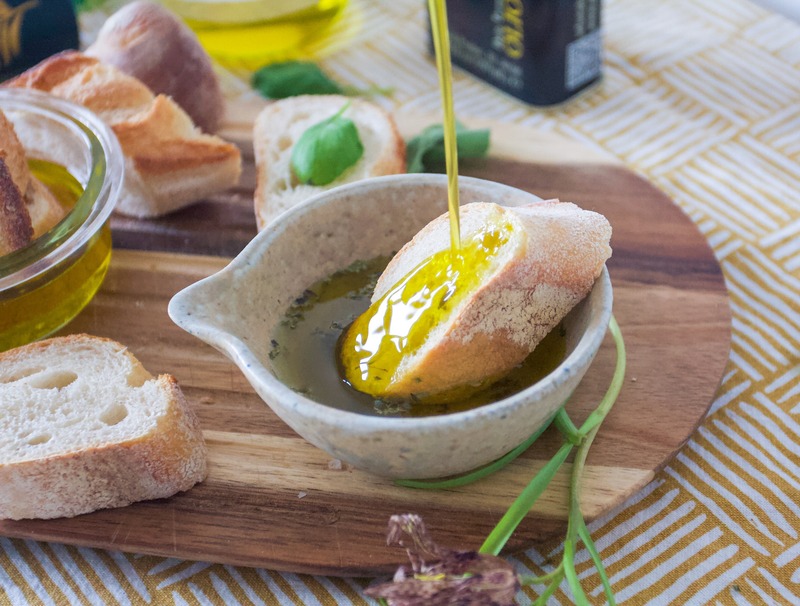 You may think olive oil is just olive oil, right? Actually, you couldn’t be more wrong. 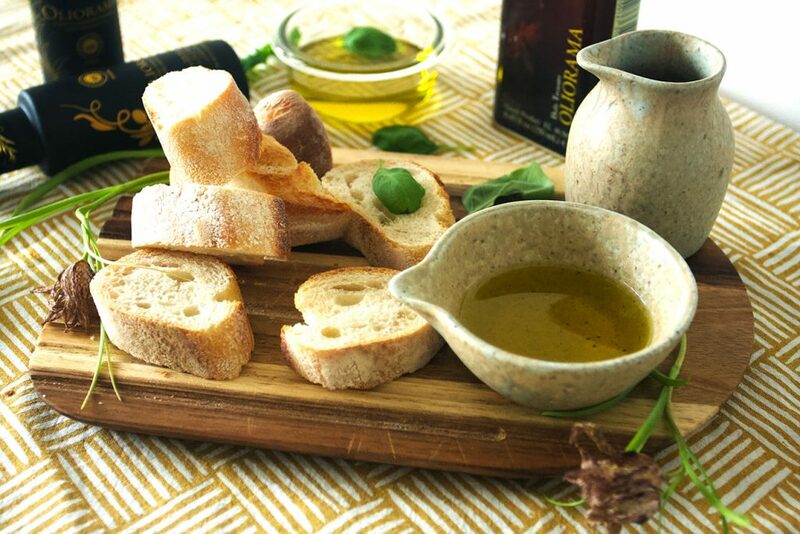 Olive oil tasting is much like wine tasting, they differ in both taste and pungency. 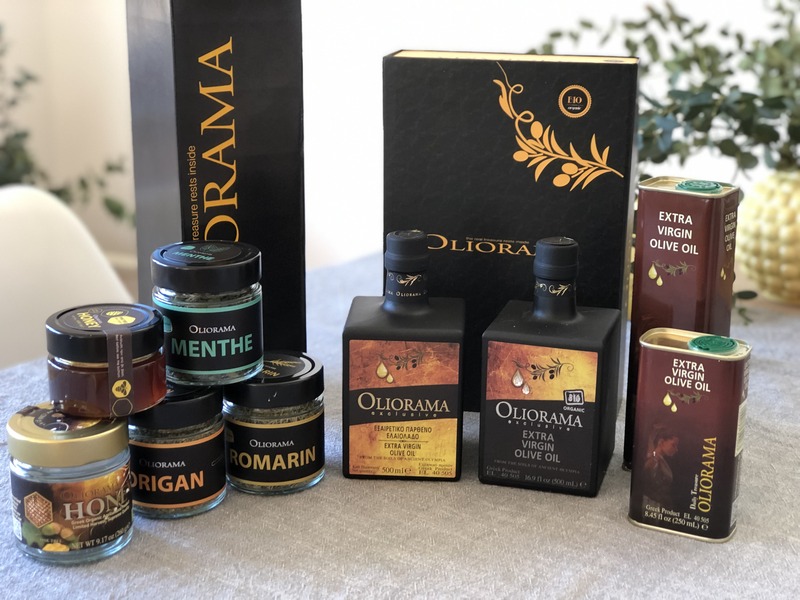 This season I have partnered with the Greek olive oil company, Oliorama. To be able to bring you the best tasting virgin olive oils. You can tell the quality by sniffing the olive oil, taste and smell it. There are a few different characteristics to describe extra virgin olive oil. In general, they can fit into three categories: mild, medium and robust. Mild oils may be nutty, buttery, floral or fruity, with notes of ripe or tropical fruits. Medium oils may also have a fruity profile, but their aromas and flavors are reminiscent of underripe, green fruits. Many are herbal, grassy or vegetal. Finally, robust oils are strong in flavor, often described as woody, peppery or astringent, with a strong grassy flavor that lingers on the palate. Now, that you know what to look for when you are tasting your olive oil let’s get down to the art of the actual tasting. If possible do the olive oil tasting in an odour-free environment. And have a clean palet as possible. Try a slice of a granny smith apple in between tastings. Or anything tart. While professional testers use coloured glasses as not to be influenced by the colour of the olive oil. Tasting as a beginner you don’t need to make it that complicated. A normal wine glass will suffice just fine. Then follow the steps of the four s’s. Then you’ll be on your way to be a professional yourself. Pour a tablespoon of olive oil into a wine glass. Cover the glass and allow it to gently warm in your hand. Swirl to release the oil’s aroma. Keep your hand on the glass until you are ready for your second set of s.
Take your hand off the glass and sniff the olive oil. Inhale and notice the intensity and what kind of aroma you sense. Is it fruity or perhaps grassy? Now take a small sip of the oil and feel the oil emulsify. You should taste a bitterness spread throughout your mouth. Now the last of the S’s, you swallow the olive oil. Virgin olive oils are pungent and this is a sensation you feel when you swallow it. The pungency should be felt in your throat. Most usually this comes out as a stinging sensation. You need a pen and a piece of paper. Don’t overcomplicate it. You can rate the fruitiness, bitterness and pungency. On a scale from 1-10. 1 indicating little flavour and 10 indicating a strong flavour. The fruitiness is the aroma, the bitterness is felt on the tongue and the pungency in the back of your throat. You are looking for a balance between these three flavours sensations. You don’t an oil where one flavour takes over. In Greece more and more oil producers are turning their olive groves from regular to organic. Olive oil farming, no chemical fertilizers or pesticides are used at all stages of production, harvesting is made by hand or mechanized harvest machines, while olive oil is produced by cold extraction at low temperatures to ensure the best, most natural and safest result. Have a girl’s night in – why it’s a good idea.